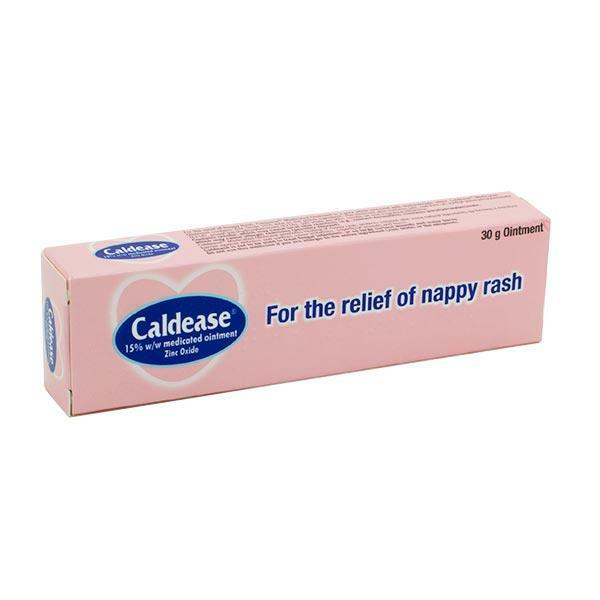 Caldease Ointment protects and helps heal irritated skin,nappy rash and superficial wound and burns. Caldease ointment forms a protective, soothing layer over irritated skin and acts as a moisturiser. This will help prevent recurrence of nappy (diaper) rash and promote healing of other wounds. Containing Zinc Oxide 15% w/w and Cod liver Oil Ph. Eur 15% w/w. Apply a layer of Caldease Ointment at each nappy change. For other wounds types or burns, apply up to three or four times daily. Caldease should not be used to treat fungal infections, or on large surface wounds and major burns. Do not use this medicine if you are allergic to the active ingredient, zinc oxide or the excipients. For external use only.